Having swimming pool in your own house will be very great thing. But there are some important factors that you have to consider before building it. Some of the factors are the location, design, construction, landscaping, lighting and the most important thing is the safety factor. The main thing in building it is the design. With an optimal design, the construction will go efficiently and you will get the maximal function of it. 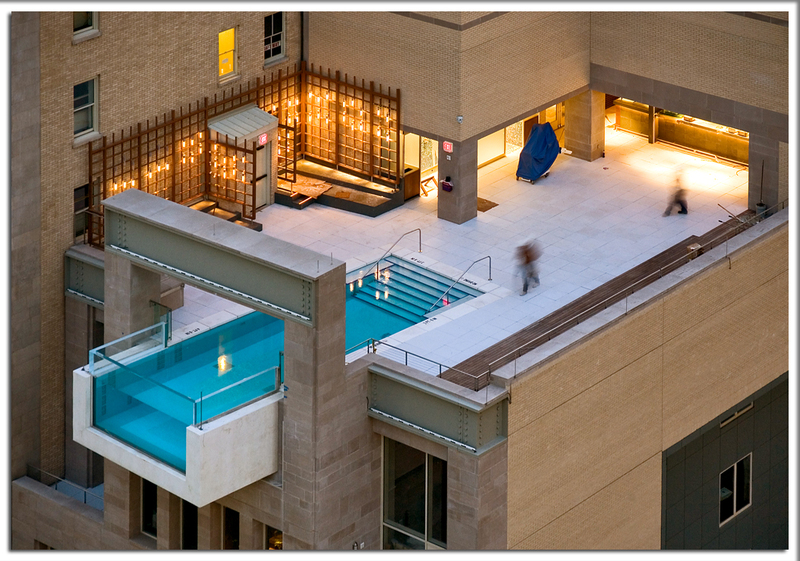 In this case, the most effective design of a pool is square. This is because this design will support the convenience in using it. In addition, this needs small space to build it with this design. This simple design can be improved with the overflow system. You will have a beautiful pool. In colder countries such as the UK, many homeowners are opting to building swimming pools inside a house extension. 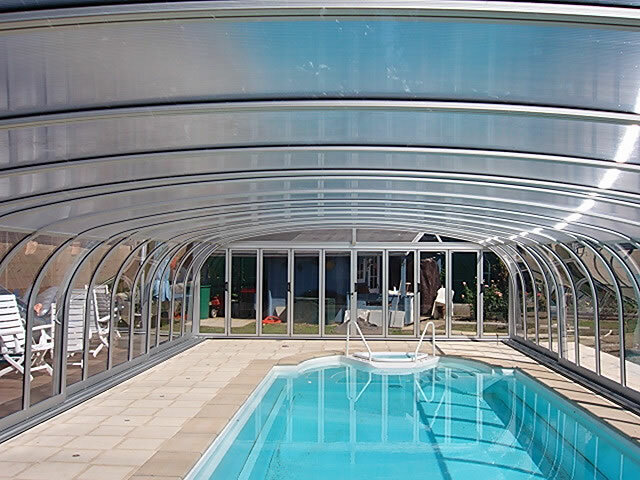 See this case study of a swimming pool Installation in London, England. Furthermore, the design of the swimming pool must be fitted with the design of the house. This is done to have a balance concept between the pool and the main building that is your house. In addition, make sure that the floor around the it is not slippery. So, you will not be slipped. You have to do the maintenance to it in order to keep it clean so that you will be able to use it every time. For children, make sure that the depth of the pool will not drown them. Thus, you have to make sure everything. The first thing to know for swimming pool planning permission in the UK is the rules governing swimming pools apply equally to outbuildings, sheds, greenhouses and garages as well as ponds, sauna cabins, kennels and many other structures incidental to the enjoyment of the dwelling house. The swimming pool is located beyond the side elevation of the property and faces the highway. No more than 50% of the land around the “original house”* is covered by additions or other buildings. * The term “original house” means the house as it was first built or as it stood on 1 July 1948 (if it was built before that date). Although you may not have built an extension to the house, a previous owner may have done so. In national parks, the Broads, Areas of Outstanding Natural Beauty and World Heritage Sites, the maximum area covered by buildings, enclosures, containers and pools more than 20m from the house is limited to 10 square metres. In the US, planning for a swimming pool is much easier than in the UK. As the US is generally hotter most US homeowners will tend to place their swimming pool in their garden. This requires much less complexity than building an internal pool or a pool with a structure around it. Local planning authorities, however, do expect to be notified on any additions such as a swimming pool in your home’s garden. Self closing. That means there must be a spring that returns the gate to the closed position once the gate has been opened more than about 12″. The gate must open “away” from the pool area. The thinking is that a toddler is more likely to push on the gate before he/she pulls on the gate. All wrought iron gates and fences must not let a 4″ diameter ball pass through between the vertical pickets. One of problems in building a swimming pool is the breaking of the floor tiles that cover the wall of the pool. In a big size pool, after it is filled with water, it is not recommended to deflate the pool. This is done to keep the pressure of the pool. Thus, the structure of the pool will be always in good condition. The breaking floor tile will be hard to be fixed. But if it is not fixed, it can danger the users of it. Therefore, you have to take care of the pool that you have built. Cooling Off In the heat of a hot, summer day, nothing can feel as good as knowing that a dip in the backyard is waiting. Many people find this to be the main benefit of owning one and discover that it helps them to stay cool, even in the worst heat of the day. Vacation at Home Others find the main advantage is that instead of spending hundreds of dollars to vacation at a resort, they can spend their vacation at home and enjoy it just as much. Anyone can make their own paradise right in their own backyard. Making Memories A pool can also help build great memories for any family. All one has to do is imagine their weekends at home with their family in the pool and they have found a great reason to have one installed. More Relaxation Relaxing by it is often just what the doctor ordered. In today’s world, where so many people are working more than 40 hours a week, coming home to relax with a swim is what allows them to forget about their troubles. Value of Home The installation of a pool can actually increase property value. With the market of today, it is important that homeowners have that something extra that buyers want. Exercising Those who have a pool on their property will be able to get the daily exercise they need to stay in shape. Children of all ages will also find more time playing than watching television, which can help them to stay in shape, as well. Great Entertainment Homeowners will also find there are a wide variety of water toys available to them that will provide some great entertainment. From slides to floats, both adults and children can enjoy their own theme park they helped to create. Family Gatherings Families that make the decision to buy a pool will always have a great place to hold a social gathering. In fact, they may even find that their home is now the preferred place. Romantic Evenings The single individual will find that along with entertainment, the pool allows for more romantic evenings. A nice patio table beside it is often the best location for a candlelit dinner. Life of Luxury Anyone who buys one will find themselves with the life they always wanted. 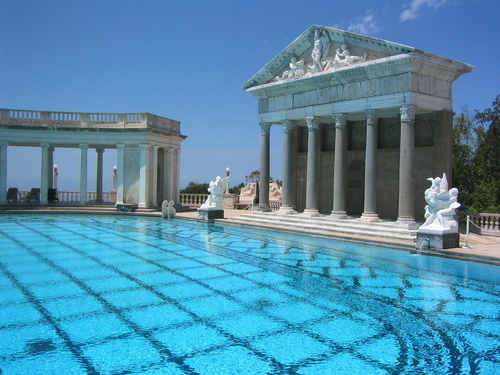 Regardless of someone’s current financial status, pools allow one to lead a more luxurious lifestyle. A swimming pool at home will be a good idea, health-wise, pleasure-wise, and appearance-wise. It is good to be able to do a few laps whenever you feel like, instead of having to walk or drive to a pool carrying swimming gear, and having to submit to their timings. You will be able to entertain your guests also well by having a swimming pool at home. An outdoor swimming pool can be made pretty grand, with a diving board, water features, and slide. And if there is good landscaping around it as well, it will be perfect. Or you can opt for an indoor heated pool, which can provide its own cozy comfort of a different type. Your choice will have to depend on various considerations like the climate of the place, the budget you have set, and your lifestyle in general. A pool in the backyard will be an ideal choice for those who live in places that are not too cold. If severe winter is restricted to just about four months, the remainder is enough to use the outdoor swimming pool well. Plus you will be free of the expenses and problems associated with maintaining an indoor one. But the option will not work for people living in colder climes with longer winter months. For them it will be best to have a heated pool inside where they can take their laps even if there is a feet of snow outside. Then there will be privacy concerns for some who may not like to swim in places visible to others. There will be security concerns or health concerns for others who may prefer to swim within their home in warm waters, rather than lock the home and go outside to swim. I like to visit your blog a couple times a week for new entries. I was wondering if you have any other topics you write about? You’re a very interesting writer! It is good to have the chance to read a good quality article with useful information on topics that many are interested on. The reason that the data written are all first hand on real experiences even assist more. Continue doing what you do as we love reading your work. Would it be ok if I link up to your web site, from my website? I’m trying to round up as many bits of useful info as I am able.